I’m currently working with my university, Brunel University London, on a student engagement project I devised with the shortened title of Brubot. 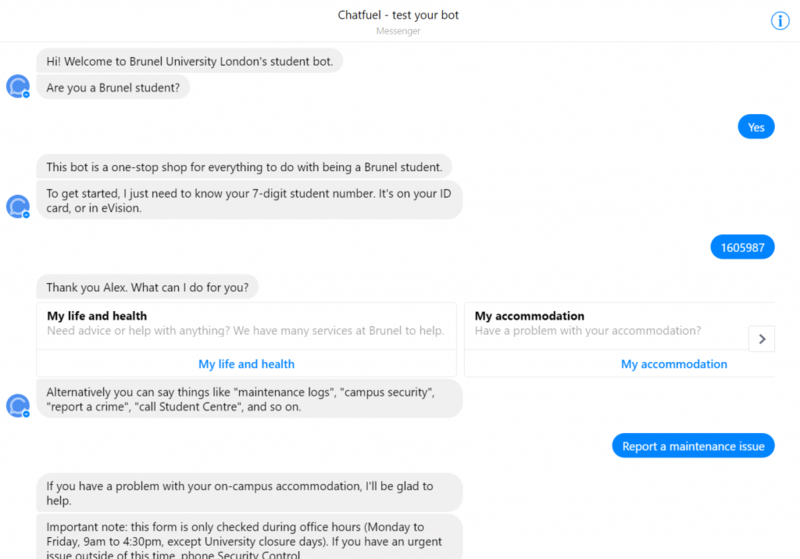 A Messenger chat bot developed using the development platform Chatfuel, Brubot aims to consolidate every service a student will need during their time at Brunel. Using an integration through a custom-made API to the University’s data held on SITS, the bot can also engage in two-way, targeted conversation with students based on their course, their College, their age, their location, and more. What services does Brubot currently include? 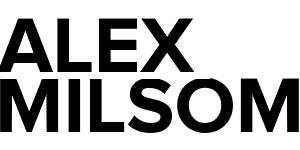 I’m looking forward to, once the cogs are fully rolling, introducing the world to a project I’ve really put a lot of effort into. Brunel, through the Student Change Maker programme lead by Deputy Vice-Chancellor Professor Bill Leahy, are funding this project fully. I maintain ownership and am licensing it to them for free for 99 years.